I'll be the first to admit I am really picky about perfumes. Some of you might relate: I find the majority of department-store women's fragrances to be cloyingly sweet, fruity, floral, or totally impersonal. The packaging is either tired or too frilly, not to mention incompatible with preserving the perfume's formula. After all, if we would never buy eye cream that comes in a clear jar, which puts the ingredients at risk for light degradation, why are literally all perfume bottles transparent? Speaking of ingredients, ever notice how perfumes don't have the ingredients listed on their packaging? That's because the formulas are chockablock with potentially irritating and environmentally unfriendly stuff. Oh, and don't even get me started on cost. The markup on fragrances is one of the highest out of every retail product in the world. I don't mean to be a complainer, but take all of these qualms into consideration, and we're not left with many options. Purely based on scent alone, the fragrances I love the most are by D.S. & Durga, Frédéric Malle, and Byredo, but the price point on these precious indie items is not always within reach for me. I've also tried a few small-batch, all-natural perfumes, as well as plain old essential-oil blends, but ultimately those just don't feel anywhere as luxurious. I'm always hopeful whenever a new perfume crosses my desk at Byrdie that it will check off all my boxes, but it didn't happen until late summer of this year. That's when a package from a new fragrance brand called Phlur showed up unannounced and proceeded to quickly replace basically every other fragrance I'd collected over the year. I happen to consider it a perfect fragrance brand. But what about it makes me so obsessed? Keep scrolling to read why this perfume skeptic is so smitten with the new fragrance brand Phlur. 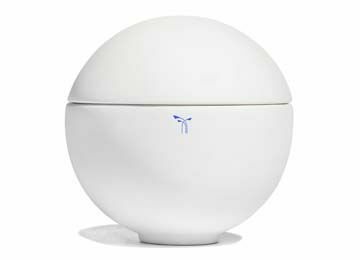 The weird thing about my first impression of Phlur's fragrances, which each come in a minimalist, ultra-modern matte white cube, is that I'd already seen them before. That was impossible, seeing as the products were brand-new. 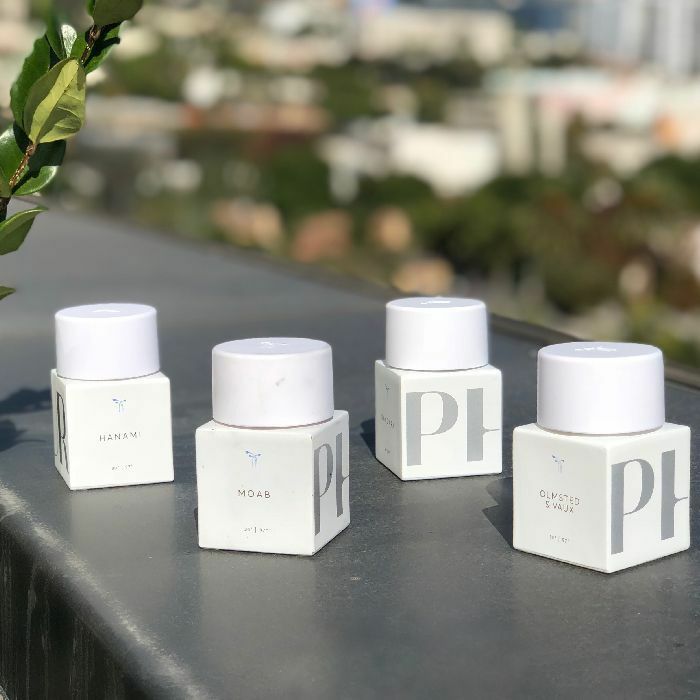 But a few months later, after meeting the brand's co-founder and CEO, Eric Korman (who created the brand with his wife, Cynthia), I discovered that was sort of the point when designing Phlur's packaging all along. "We wanted it to look so classic that you felt like you'd seen it on a shelf sitting next to Byredo," he explained. "We wanted it to feel timeless and familiar." That intention definitely reads. I was sent four fragrances and a candle (Phlur makes eight gender-neutral scents in all, three candles, and just launched a line of bodycare, including body wash and lotion). 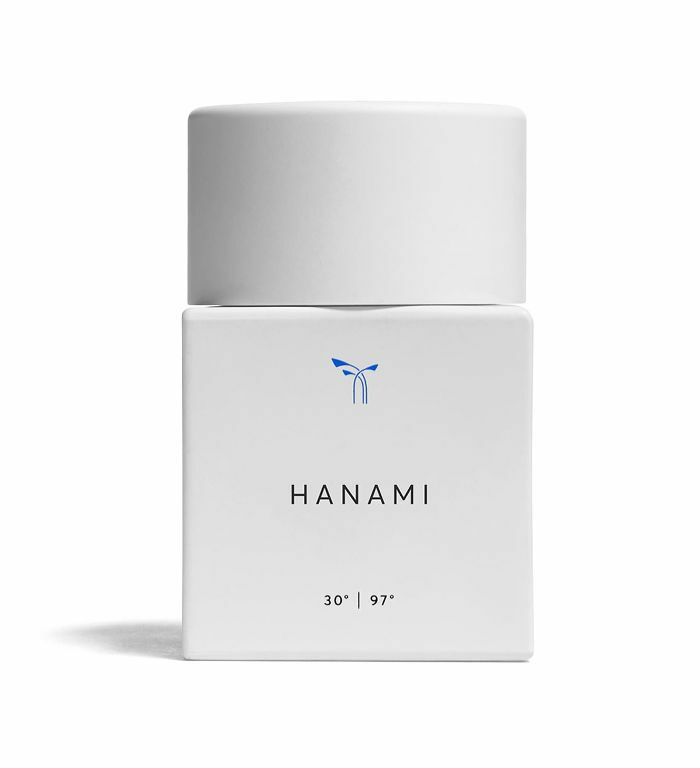 First was Hanami, a light and minimalist scent of fig, white florals, hazelnut, and sandalwood. Then there was Olmsted & Vaux, a crisp, citrusy scent I loved for myself but could definitely also see on a masculine guy. Next, Sandara: a delicious nature-inspired scent with notes of forest air, violet leaves, and oakmoss. And finally, my favorite of the four, Moab: a dry, spicy, pepper-and-clove-forward fragrance inspired by the desert. The candle was a unique white sphere filled with the scent Annica, a translation of the brand's Hanami fragrance. Speaking of the Phlur website, it's unwittingly very cool. Each product page comes with a sort of mood board for that fragrance full of imagery; quotes from the perfumer; information on the notes and vibe of the fragrance, how it wears, and how many hours it stays on the skin; even a freaking Spotify playlist to pair with the personality of the scent. Here's another cool thing: Every fragrance in Phlur's line was made by a different perfumer, handpicked to bring the founders' vision for that specific fragrance to life. For example, Hanami and Olmsted & Vaux were created by an eclectic New York–based perfumer named Nathalie Benareau, who grew up in France near the Alps and summered in Spain. But Moab was made by Ralf Schwieger, who spent his childhood in Germany surrounded by forests and as a young up-and-comer won a blindfolded fragrance contest judged by Frédéric Malle. Perhaps even more impressive than the rich complexity of the scents, brand experience, and affordable price point is Phlur's commitment to sustainability. Phlur is a Certified B Corporation (I believe the only fragrance brand on the market to earn that certification), which means the company meets the B Lab’s sky-high standards for social and environmental performance, accountability, and transparency. All of the products are vegan and Leaping Bunny–certified (i.e. cruelty-free). The brand donates $5 from every bottle sold to either the International Union for Conservation of Nature or the Central Park Conservancy. You can read the entire ingredient lists for Phlur's perfumes right on its website, which is almost unheard of in the fragrance industry. And those chic matte white bottles? They're not just for show. While protecting the fragrance from light damage, they're also made from recycled glass. And that stylish sphere the candle comes in is food safe, so after the candle runs out, you can repurpose it as an ice cream bowl. The Kormans seem to have created this brand to address every concern I listed at the beginning of this review. I feel like it was invented for me, and I also wonder why there aren't more perfume brands like it. I am so taken with Phlur, in fact, that it is the only fragrance brand I have spent my own money on (as opposed to getting free samples sent from brands) during all my years as a beauty editor. My boyfriend, too, is a big fan and owns an Annica candle himself. Shop some of my favorite Phlur products below! Or consider the brand's sampling service: For $18, they'll send you three mini bottles of perfume (that's a month's worth) with free shipping, of course. If you decide within 30 days you want to buy a full bottle, that $18 will go toward the $88 price. Next up, I've tried over 1000 lipsticks, but I only wear these 14.